If you don’t know how to care for your solar system, you’re not alone. A relatively modern technology, solar water heating is a mystery to a lot of homeowners. That said, it’s not difficult to learn a few things to do for yourself. This can save you the time of getting a plumber to come out. If a problem does arise, take comfort knowing that you can call on John’s Plumbing and Pumps to take care of not just your solar water heater repair in Olympia, but all sorts of other tasks. 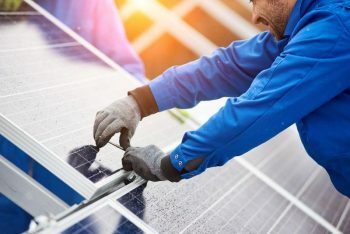 Should I even go solar in the first place? Tax Breaks: So long as you own the panels, rather than renting them, you get a nice tax break from the government. Lower Energy Bills: Solar power comes from an off-grid source, meaning that the utility company can’t charge you for it. In fact, if you make more than you use, the power company has to pay you instead of the other way around. Green Power: When you get your power from the sun, it’s not coming from fossil fuels. This reduces pollution and waste. If you take care of your solar panels, they take care of you. You don’t have to call in a technician for everything. Doing it yourself saves you both time and money, so long as you do the job right the first time. Here are some tips for taking care of your solar system. Shading Issues: If something blocks your collector, you’re not generating power from that part of the cell. Since conditions don’t change very frequently, you usually only need to do this once a year. Get up to the roof and check in the morning, at noon, and later, to see if anything blocks the sun from your collector. Common problems include tree branches or new construction. If it’s vegetation you can usually just chop the growth down. New buildings blocking the panels might mean that you need to move your collector. Particulates: Sometimes dust and debris gather on the panel, blocking solar rays. Once a month you should go up and wipe them off. Here in the Northwest, it’s not uncommon to find tree matter on top. Glazing: The glazing that covers the panels can succumb to discoloration. This interferes with the panel’s ability to generate power from the sun. When you clean off the collector every month, take a few minutes to look for yellowed spots. Sealing While you’re up on the roof, bring some mastic compound along with you. If you see fluid leaks, take proper measures to seal them up. The liquid inside a solar panel is vulnerable to freezing. Since water expands as it freezes, this can lead to your panel cracking open, causing irreparable damage. 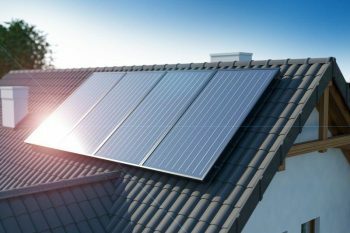 In the local climate, you need to make sure that the panels you set up to use something other than water for their heat transfer. Look for one that lists antifreeze as a component. The antifreeze degrades over time, so you need to replace it around every three years. The thing is that this system is usually pressurized in a way that homeowners aren’t normally prepared to access or replace. Solar techs can do this for you. Duct Cleaning You might not be able to reach everywhere in the ducts, but a shop vacuum with a flexible hose can clean out lots of accumulated dust, spider webs, and other material. This keeps the air flowing freely, reducing your cost to heat. It also eliminates a potential fire hazard. Drainage: Annual draining of your water heater and its pipes gets sludge out of the system, increasing efficiency. Please note that this task takes a minimum of two hours to complete, and you need to take safety precautions to avoid steam burns. Pipe Repairs and Replacement: If you take care to turn off the water supply at the proper points, you can cut off leaks, then either repair the pipes or replace them as needed. Some jobs you just cannot do yourself. Or perhaps you just don’t have time in your busy schedule to take care of all the household maintenance. You’re in the same boat as a lot of people. For anything that you need to be done, whether you heat your water by means of solar panels, gas, or something else, turn to John’s Plumbing and Pumps. We’ve been in business for years and know all about traditional and modern systems. Our plumbing technicians are all highly trained and have years of experience on the job and in school. They treat you with courtesy and leave your home looking as good or better than it did before they showed up. The priority is getting your plumbing back to its optimal functionality, so we show up on time for our appointments and work quickly, without sacrificing quality. All you have to do is give us a phone call or fill out the handy contact form on this site. We set up a free consultation to determine just what you need and how we can best take care of you. If it’s an emergency we’ll send someone right over. Don’t leave the safety and comfort of your home in the hands of just anyone, call John’s Plumbing and Pumps to get the job done right the first time.